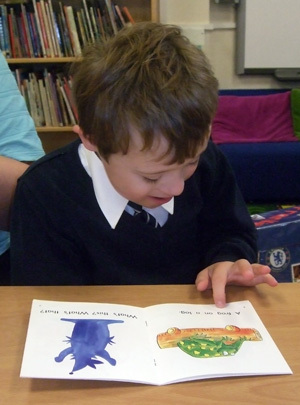 After 10-weeks of delivering intervention, the Teaching Assistants were asked to attend a refresher training day. As part of this, we asked Teaching Assistants to share some of the positives and challenges they had experienced in delivering the program. These have been grouped into themes below, focusing first on the positives and then on some of the challenges involved in delivering the program., and how the research team responded to these. We have illustrated these with specific quotes where possible. "Improvements in skills and behavior led to greater social inclusion in class and at playtime". 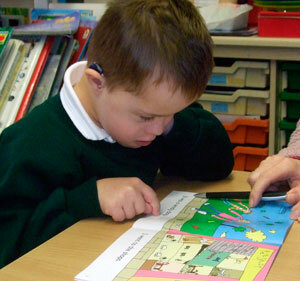 Some Teaching Assistants reported that communication had been good with school and that they had been supported with time to prepare and deliver sessions. 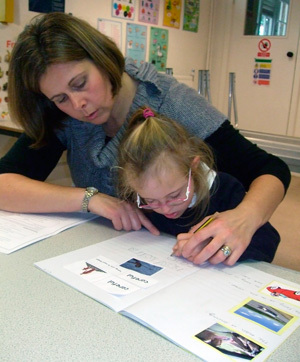 Teaching Assistants also reported that it was useful to involve the class teacher in the teaching program. e.g. by having the sight words/vocabulary targets up in the classroom. Finding time to deliver the program. Other Teaching Assistants noted that it could be difficult to fit the teaching program. in to the 40-minute (or 2 x 20 minute) sessions: "The 20 minutes can be a bit of a rush and do not allow TA to give child enough thinking time." Some Teaching Assistants commented on various factors which they felt impacted on the child's ability to participate in the teaching program. 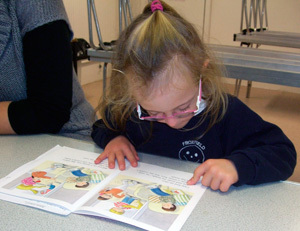 Behavior and health problems were noted as impacting on the ability to participate, as were particular difficulties with expressive language skills "Difficulties with speech sometimes make it difficult to know whether child is getting the words (both in language work and in reading)"
Some Teaching Assistants reported that they found it difficult to keep motivated to continue with the program. Some Teaching Assistants found it difficult to individualist the program. and make it a suitable challenge for children. "Can feel left alone for managing behavior"
"Important that class teacher is consistent with expectations of behavior"